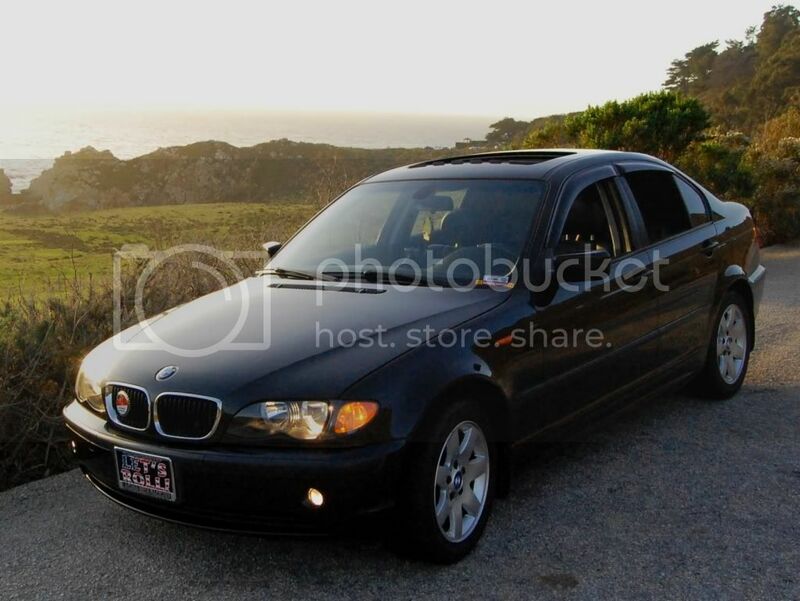 So I recently took advantage of the membership promotion where one receives a free BMW CCA grill badge with a 3-year renewal. The badge is ridiculously heavy and bulbous! I was expecting it to be similar in size to an ///M badge, but it's big enough to be a cowboy belt buckle. There's no way I'd affix such a thing onto my car and doubt most would do so either. It fit perfectly on the grille of my '84 733i but I also think it's a little too big for the newer cars. I'm sure someone at a local chapter event would be glad to make use of the grille badge. For the car or their belt? The grill badges work well on my tii and E28s. I have a roundel belt buckle from back in the early 80s! That big heavy grille badge. . .
Well, now, here's a new one! I think BMW makes big, heavy, powerful cars just so they can carry the CCA grille badge. It probably lops a few horsepower off the S54 engine in my Z4, but I rather like the substantial feel and solid quality of the badge. Sort of like the Colt 1911A 45ACP. Agreed, Satch! It's a bit hard to believe that club members would be disappointed in getting something meaty and solid as opposed to getting a metallic decal that gets bent by rain. Would you guys happen to have pics of this huge grill badge? 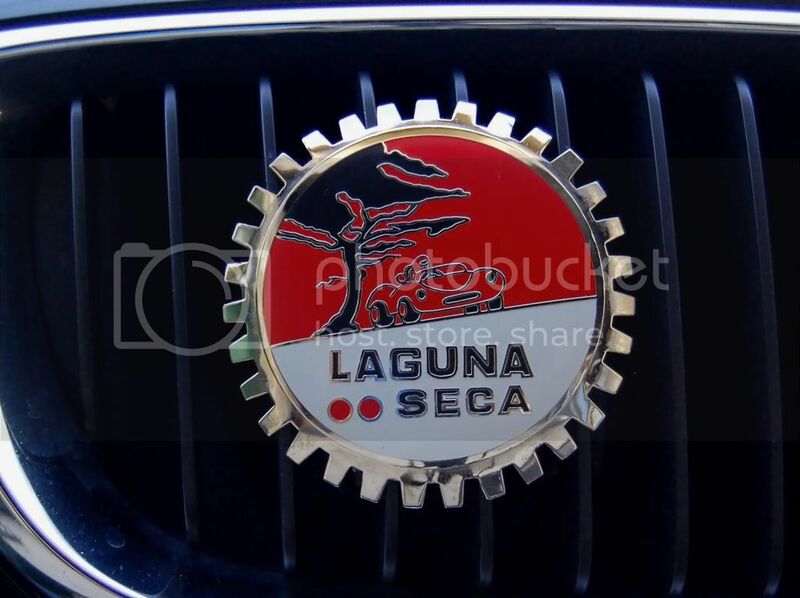 I'm wondering if it's about the same size as typical grill badges like this Laguna Seca one on my car? I hate to be picky, but it's grille. A grill is something you cook on. Thanx, bootyful badgee! That makes a three year membership worth thinking about. BTW dictionary.com definitions for both grill and grille include meanings for cooking meat or a series of parallel bars. I was hoping rally could also be spelled rallye. The 200 S has a black chrome grille and 18-inch wheels with black accents. In hindsight I should apologize for being somewhat cynical. I'm sorry; I actually appreciate your correction for a more common spelling for a car's grille. A quick eBay search reinforces your suggestion - searching for grill badge automatically delivers results for grille badge. I agree with you that English is a funny language. I suppose the rebellious nature of Americans is to blame for us making so many changes to the Queen's English. Examples such as gray color as opposed to grey colour and theater vs theater come to mind. I think they look great on my e30s!! Took a lot of flack for that back then, just like I did for moving the Club offices to Greenville from Boston, and hiring Yale Rachlin to replace Parker Spooner as editor of Roundel. Personally I don't use any grille badges and don't like the way they look even on my cars with side grilles either side of the kidneys. I'd suggest knocking off the bosses on the back and attaching the badge to the rear of the car with 3M attachment tape. It looks better on the back, it's more protected from road rash, and our small U.S. plates leave plenty of room on the back panels. And who can ever read your badge on the front of the car, anyway, unless you're parked and then the window sticker is probably easier to see. The badge is ridiculously heavy and bulbous! I was expecting it to be similar in size to an ///M badge, but it's big enough to be a cowboy belt buckle. There's no way I'd affix such a thing onto my car and doubt most would do so either. Gotta disagree with you (respectfully, of course!). I put the badge on the grille of my E39 and I think it adds a little something "extra", if you will, to the look of the front of my car. Pics to follow...but I'm pleased with the badge myself. I realize you aren't...guess that's why Baskin Robbins has 64 flavors of ice cream. To each their own! An odd language indeed. . . I suppose the rebellious nature of Americans is to blame for us making so many changes to the Queen's English. Examples such as gray color as opposed to grey colour and theater vs theater come to mind. Sounds like Noah Webster would've been a fan of your WOADSTR license plate. That's a beautiful Z4; I remember seeing your car parked in the BMW corral at Laguna Seca.